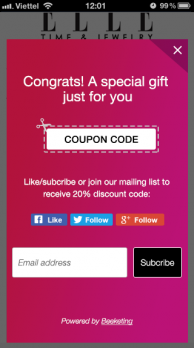 Make it so easy for new customers to subscribe emails with your store in return for discount coupons. 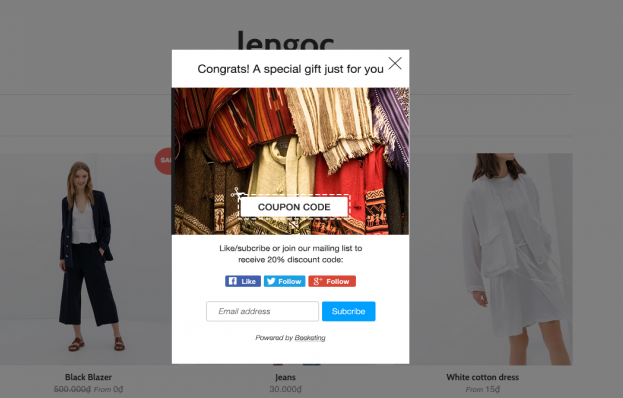 Save your cost by triggering coupon popups on specific pages to target the right audience. Encourage new customers to make first purchase by offering coupon codes on their first visit to your store. 20+ Pre-designed theme templates with image upload to make coupon pop-ups match your store's design. Boost social likes on Facebook, Twitter, Instagram, Pinterest, Google+, ... instantly by rewarding coupons. Set up smart exit intent popups to retain 68% bouncing visitors and turn them into paying customers. No coding skills required. 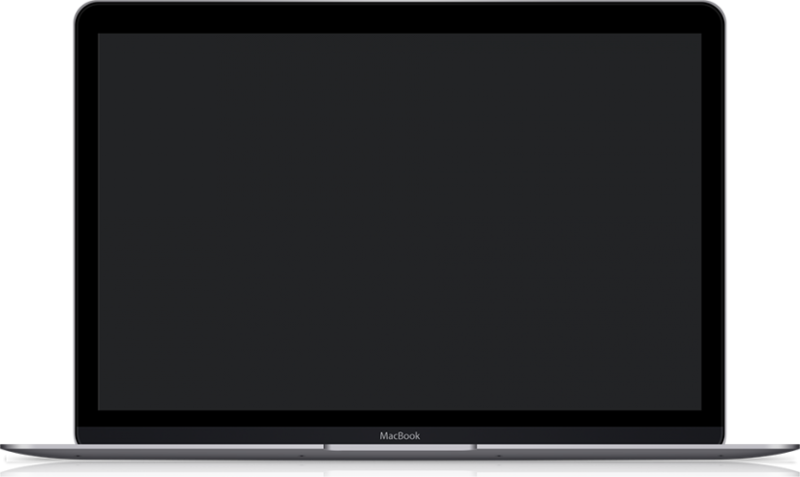 We prepare everything for you to create popups super fast in 60 seconds flat. Pay nothing upfront to build a highly converting coupon popup with Better Coupon Box. No credit card required. popups nicely on all mobile devices. "The effectiveness and simplicity - Unbelievable that such a simple thing could be so powerful." "Been trying it out and could say I am very impressed with what I've discovered so far. Looks like this is going to be my go-to coupon popup plugin from now on." Once you use Better Coupon Box, you'll be amazed. Get 150% higher sales conversion than any other WordPress popup plugins by choosing Better Coupon Box.